Endless nights, amazing parties, and the thrill of Sin City is yours at the Elara. 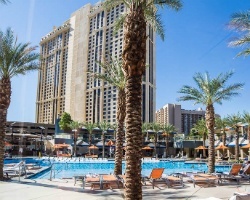 At SellMyTimeshareNow.com, you can find affordable timeshare resales and rentals to keep revisiting this amazing resort to enjoy Las Vegas time and time again. The massive, shimmering tower that shadows The Strip provides one of the best vacation experiences in Vegas. Popular among timeshare enthusiasts and one-time travelers alike, the Elara is an example of excellence. Positioned just off the center of The Strip, the Hilton Elara gives its guests unparalleled access to all of Las Vegas's greatest delights. In just minutes, you could be gambling at the Mirage, seeing the best in live entertainment at Caesars Palace, or posing for unforgettable photo ops outside the Bellagio fountains. 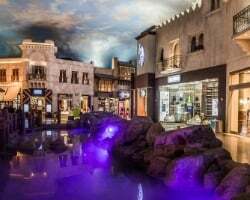 Additionally, the resort is located right next door to Planet Hollywood, so you won't even have to cross the street to hit the slots or blackjack table. The Elara Las Vegas includes hundreds of units ranging in size from well-appointed studios to sprawling four bedroom suites. The wide range in unit size means that this Hilton resort is perfect for couples, small groups, and larger groups like bachelor or bachelorette parties. 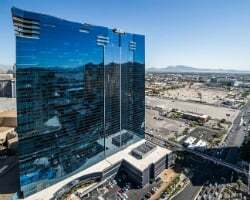 You'll likely have spectacular views of the city no matter what type of unit you stay in, which will help to make your Vegas vacation truly special. Does this sound like your dream Vegas getaway? A timeshare resale or rental at the Elara resort can be within your reach. Fill out the form on this page to learn more, or call a representative directly at 1-877-815-4227. Elara, a Hilton Grand Vacations Club, offers avid Las Vegas vacationers the opportunity to own a piece of Sin City all for themselves. The immaculate timeshare units housed with the Elara tower are some of the most desired in the industry, as made evident by the resort's high rating among previous guests. However, timeshare resales at the Elara are a sure-fire way to secure the same great vacation ownership solutions for thousands less. Prospective buyers can find deeded or floating weeks for sale on the secondary market, as well as Hilton Grand Vacations Club points. Periods of ownership at the Elara typically fall within the Gold or Platinum seasons, due to the high popularity of Las Vegas. Timeshare resale owners at the Elara will also find Hilton's rewards program, HHonors, to be complete with vacation perks and bonuses. Timeshare resale buyers at the Elara will find that entry into the Hilton Grand Vacations Club is relatively straightforward. While owning a timeshare resale prevents you from entering the club at the Elite level, you'll still be able to use your HGVC points to make reservations at the Elara Las Vegas or any other Hilton Grand Vacations Club-affiliated resort. As a member of the Hilton Grand Vacations Club, you'll also be able to internally exchange your timeshare for stays at partner properties, like Club Intrawest and Fiesta Americana Villas. 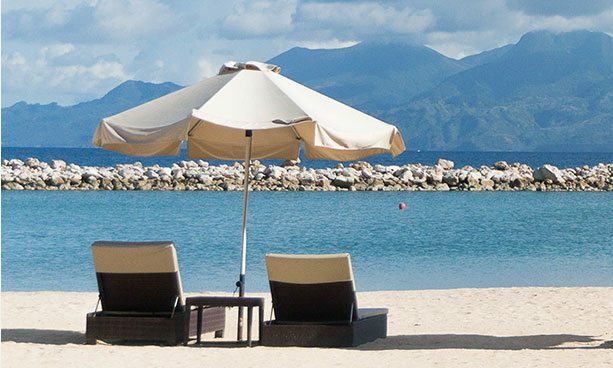 Because the Hilton Grand Vacations Club is affiliated with RCI, you will be eligible for timeshare exchange through the company with your Hilton Elara timeshare resale. The Elara resort maintains a Gold Crown rating from RCI, meaning it is not only highly recommended by former guests, but also that it offers good trading potential when looking to exchange. A resale unit at the Elara may be your ticket to great Vegas vacations every year, but it can also be your ticket around the world. The Elara is known for offering unbeatable amenities and services that truly let their guests know they've arrived at the getaway of a lifetime. Perhaps none of the resort's amenities are so acclaimed as the Elara Las Vegas pool, which includes cabanas, spa tubs, and the Oasis Bar & Grill. You can kick off your nights in the Elara's lobby bar and lounge, or choose to consult the full service concierge for dinner reservations and show tickets around town. Nearby amenities include all the thrills Las Vegas has to offer. At the Elara, you're located on East Harmon Avenue, just around the corner from the middle of The Strip. 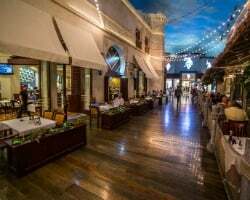 In just minutes, you could be shopping at any one of Las Vegas's best boutiques, enjoying fine dining at establishments like Andiamo Italian Steakhouse or The Capital Grille, or heading out to one of the city's best nightclubs or rooftop bars. Already Own at Elara Hilton Grand Vacations?